Participatory Budgeting(PB) enables people to make their community better, starting with issues that concern us all. The biggest concern we face as a society is climate change. 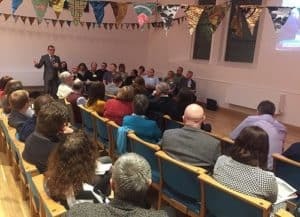 In this new blog Shared Future CIC’s Alan Budge connects PB and climate change. 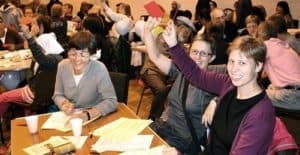 Housing Associations, Cooperatives, Tenant and Arm’s Length Management Organisations are uniquely well placed to initiate and lead participatory budgeting (PB), as they often already have well structured tenant engagement processes, and much of their income comes directly from rents. PB is an ideal way to take that engagement further, and respond to the interests, concerns and needs of their residents and the wider community. 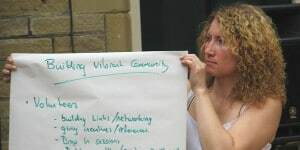 In a recent meeting with colleagues representing different sides of the perennial social enterprise definition debate, we again stumbled, or struggled to agree. There is of course some official definitions, but everyone still seems to feel we need to broaden or narrow it. It sometimes feels like we are a lot of navel gazers dancing on the head of a pin! Which sounds difficult and dangerous. Citizens Assemblies have gone mainstream, no longer are they the preserve of democracy geeks. The potential of ‘mini publics‘ in bringing together a diverse group of citizens to deliberate, reach consensus and deliver a mandate for action to their local and national politicians is fascinating. Especially, when we consider the complex nature of so many problems that our elected officials must grapple with, from Brexit to artificial intelligence to climate change. Peter Bryant tells us more in his new blog. 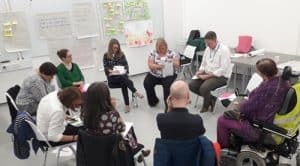 In the autumn of 2018 a diverse group of Scottish Citizens gathered over three days to make recommendations on shared decision-making in health and social care. 24 people shared ideas, opinions and experiences and questioned outside ‘experts’ before attempting to reach some consensus. The Our Voice Citizens’ Jury on Shared Decision-making: Interim Report documents the process followed and lists, in the participants’ own words, their recommendations. 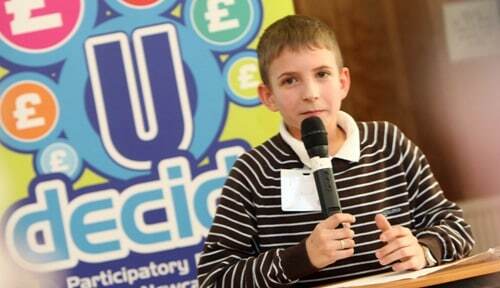 Schools play a central role in developing the life-skills and confidence of young people. 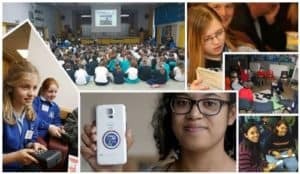 Participatory budgeting (PB) is a proven deliberative process that can inspire, empower and engage young people in a cooperative, democratic and purposeful way. Bringing the two together has many positive benefits for schools, for society and for young people. 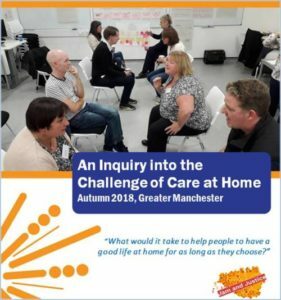 After 6 weeks of deliberation our Inquiry in Care at Home produced compelling recommendations for transforming how services in Greater Manchester are commissioned and delivered. The ‘what’ and the ‘why. Following the launch of the Inquiry report we now invite Health and Social Care Commissioners across Greater Manchester to commit to considering ‘how’ the recommendations might be implemented. Journey into Social Enterprise: Long March or Walking the Talk? 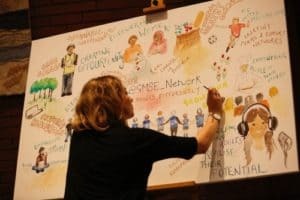 Jez Hall of Shared Future and Lynn Sbaih of Give2Gain had the privilege of running a two hour session at the recent Greater Manchester Social Enterprise conference on the ‘Journey of Social Enterprise’. Our purpose was to explore the motivations and reasons why people got into social enterprise, and then, to think more widely about what sustained individuals on their journey. After 6 weeks of deliberation our Inquiry have produced compelling recommendations for transforming how services in Greater Manchester are commissioned and delivered. The ‘what’ and the ‘why’. We now invite you to work together, in a participatory way, to develop ideas on ‘how’ the recommendations might be implemented.